Sending out heartfelt thoughts and gratitude to all those who served and died for our country. And for family gone too soon, loved ones and cherished friends. We at Soivohle will be taking a little break through this holiday weekend. All orders placed over the weekend will go out Wednesday the 28th. 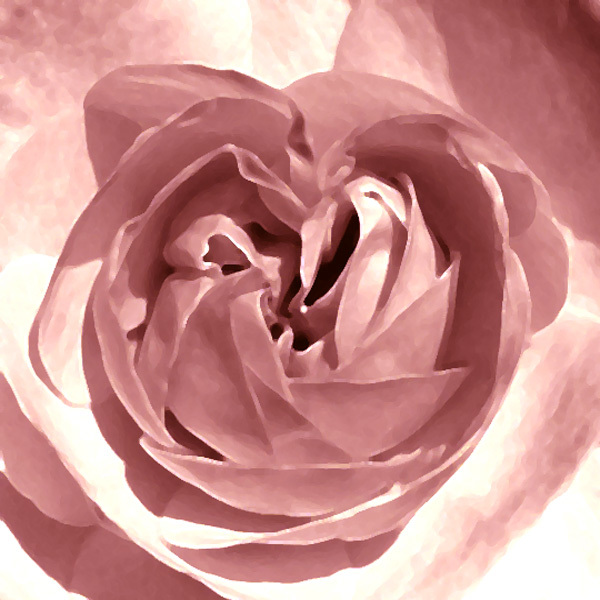 I am still waiting on the second shipment of matt board for the Rose prints. It is set to arrive the first week in June. Sorry for the delay. We have been treading water so to speak this past week and likely the next two weeks. In the middle of moving the studio, so everything, details and all things Soivohle are on a must do basis until I am resettled. Orders and online transactions are as always priority number one. I have a ton of stock from the studio to re-shelve in my workroom, and more to go through and figure out what we are going to do with it. I will not make any decisions on the Street Collection oils until later this summer or beyond. The first batch of Kentucky Bourbon Rose prints will go out the first of next week. I have been mounting them in-between other things. Hopefully they will all go out by the first of June. My new studio location will be devoted to my visual art and Olfactory Art Installations. There will be a settling in period, but this is the perfect set up for me. I can spend much less time on web concerns because a lot of what I was doing before, is now done for me with the new system. The time saved and the time saved from being at a physical location (where I could not paint) frees me up to paint more. This will not take away from Soivohle but make it better. Instead of being overwhelmed by it I can come to it with a fresh outlook and enjoy it more. Being able to do the two things I love is perfect for me. I am sure it will show in all of my work as time goes on. This Saturday is Derby Day. To be precise Kentucky Derby Day. To celebrate my Kentucky roots and birth state I am releasing Kentucky Bourbon Rose on Saturday. This is a Numbered Edition of 25/4.5ml bottles. We will have a pre-order period beginning today. Included in all pre order packages will be an early release 11ml atomizer of our Spring 2014 Limited Release: Magnolia 826 eau fraiche. Magnolia 826 will be available mid-May. If we sell out during the pre-launch all orders will ship with the Magnolia 826. Orders placed with a May 3rd or later date stamp will not have the Magnolia 826. There are only 25 bottles in this edition that was created over a period of years. A fine Kentucky Bourbon was tinctured with organic Mexican Vanilla Beans to create the carrier/base for the parfum. Rose Absolutes from Morocco, Bulgaria and Egypt were blended with a harmonious accord of spices including a touch of clove and cinnamon, with a natural oakmoss accord that included green and brown oakmoss. The concentration is +50%. To insure that this is a truly artistic work there was no formula kept, no notes taken or measurements of any kind recorded other than the amount of carrier to materials used. Kentucky Bourbon Rose will never be made again..
NEW MINIS - I am working on labels right now for a new 5ml size that will be available in the Demis and EDT/Colognes... I had offered a smaller pocket spray in the past, but these will be small open cap bottles. I sometimes give these out with orders, and will be adding them to the site soon. They will be available individually and as curated sets.. STUDIO Z - I have had no news about moving yet... Still waiting on studio space in the city. In the meantime Studio Z will be open for business, perfume bar and all, for the upcoming art walk at the Art Center. I will not be moving anything until I have my new lease confirmed. This could be a month, two or three.., so when I know I will pass on the info. The perfume shop will remain as is until that time. and yes I can still come in for special appointments. just shoot me an email or call. My schedule is pretty flexible at the moment, but prefer that it be during regular business hours at the art center which is 11-5 Tuesday thru Friday, 11-3 on Saturdays. I have added an archive page to the website. Nothing is listed yet, but this gives a bit of information on how to go about inquiring about something that is not in the collection. I have had some inquiry about the Acousticjus Stellar All Over Oils and I must say that I no longer have them in the collection. This was an item as with many of the other non perfume offerings that had been available first at the boutique. Now that I will be closing the boutique/perfume shop, I will not stock any of these items. They will be a special order if available at all. They were never that popular as an online purchase, and I do not want to keep a lot of stock made up of things that do not sell. Particularly body oils where shelf life is a huge factor. I have also placed my order for the new carrier for our perfumes. I had been using a grain based carrier. We are switching to an organic esprit de sucre. (cane) for all of the Demi's, Absolutes Colognes and EDT's. I will phase out the remaining tincture and stock and phase in the new. It should arrive by weeks end. I will be using this for the first batch of Amun Re The Tears of Ra. The materials are set out on my bench to be the next thing formulated. After that Violets & Rainwater. No I did not forget... Time has just been beating me over the head lately. Scentscapes™ I have done a lot of thinking about these scents and have to say that as with things in the past Olfactory Art and Perfume are like oil and water they do not mix well and the ideas do not translate from one to the other. The scentscapes will be exclusively linked to my Olfactory Arts projects. You can read more about this on my fine art website. 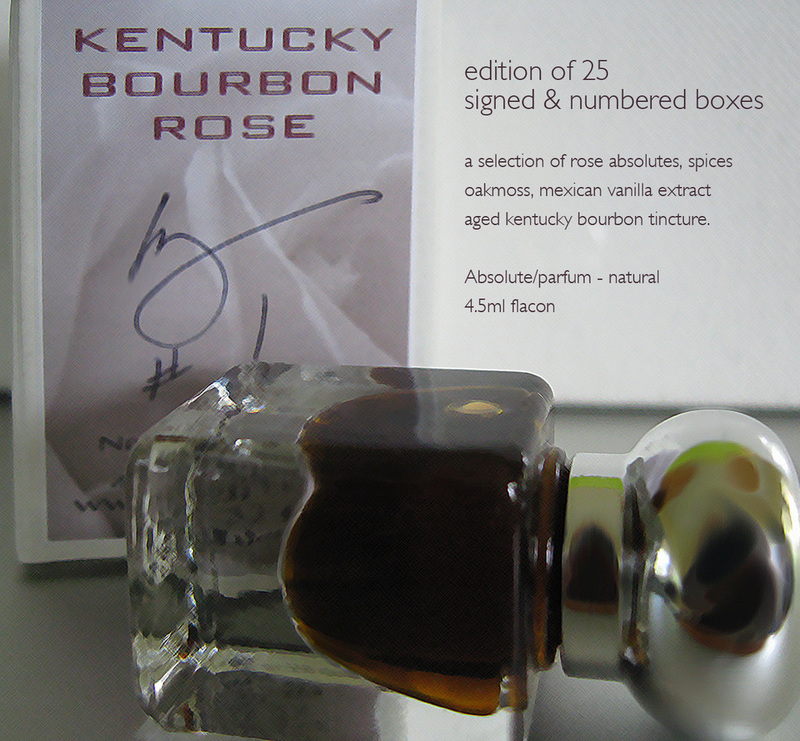 The new Kentucky Bourbon Rose will be a signed and numbered limited edition Soivohle Essence. This will be available soon. Keeping these things separate will best serve the work and everyone who has an interest in it. I have added some of the parfum oils (the attars) to the site. I will be adding some of the other oils as well. I do not know exactly how many of them will make the cut, but the next grouping will be from the natural oils collection. After that I will add a few other things back to the collection and then a little break as we anticipate the move of our studio back to downtown Cincinnati. As I try to wrap my head around the possibility of warmer weather and a not so cold lab (the dungeon) my thoughts are turning to the next phase of Soivohle. I am phasing out Custom Perfumes any and all body products, oils, lotions etc... My passion and interest has always been with scent creation, and I find that veering off into drugstore fare just doesn't speak to my sensibilities. In other words I am going back to the future.. To that place where I started with interesting, quirky small run essence blends. I like to work and stay busy and the idea of creating every scent as an open edition that never ends can be overwhelming. Right now I have too many batch and bottle essences in my collection. So much so that it takes up all of my time just keeping them in stock (mostly) and up to date. I think so many people get caught up in that I want to be a rock star mentality and think bigger is always better. As someone who has devoted an entire lifetime to the arts and the ideals of high art, I can say that it is very difficult to stay true to a vision when you allow others to peddle your dream.. It is near impossible to find just the right folks with enough insight and integrity to nourish rather than exploit you.. Believe me. LESSONS LEARNED... many times over. STUDIO FUTURE - I am currently looking for a new art studio in the city (cincinnati) and will hopefully have something in the next month or so. At some point my studio space will overlap with Studio Z and the new space. Once I am in the new space I will be devoting my time to painting and Olfactory Art Installations. This is where it gets tricky folks... Soivohle will go on as a retail business, but the scent work that I will be doing in the new studio will be all about the artistry of smell.... It will not be about perfume. The continuation of this conversation will be best suited to my art blog, so I will just leave it hanging here. To be continued somewhere else at a later date, haha! As things stand now I did look at new studio space yesterday but neither place was well suited to my needs. Too many stairs, too narrow, too isolated... At first I was thinking small, but now I am thinking I would like a really big space, even bigger than my old Scentual Artistry space... Yes, I want it to be grand. I want to pick up where I left off with my scent work, and introduce more people to the idea of scent as art. This has always been my passion, and with my scentscapes and the new direction of Soivohle I feel that I am getting my life back. Hopefully others will be feeling the vibe of my renewed love for my work. Being frustrated the past couple of years has not been fun for me or anyone around me. New on the website. Circa 1969 has returned with an elegant update to our original hippie patchouli. Fougere Nakh, our best selling fougere of days past is back for a spin around the block. Check it out. Green, earthy smoke from Choya Nakh, a distillation of dried roasted seashells. I have been working with my attars again. Mitti in particular, creating a small series of numbered Bespoke-esque Absolutes. This is where I do my best work (my opinion) when it is small, ephemeral and intimate.